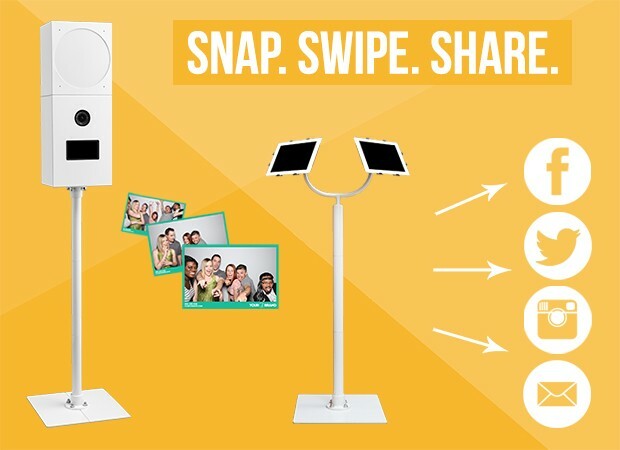 Our touch-screen social media photo station - the iBooth - is designed to maximize your event's social media exposure through real-time, user-generated online sharing. Check out the video and Q&A below or Contact Us for more information, rates and/or availability. It’s an open-air, social media photo station. What does the iBooth do? 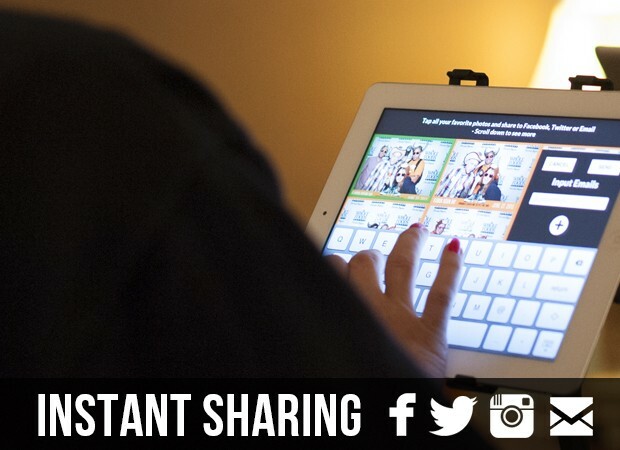 Users can take unlimited hi-res photos of themselves using the super-intuitive touch screen monitor. 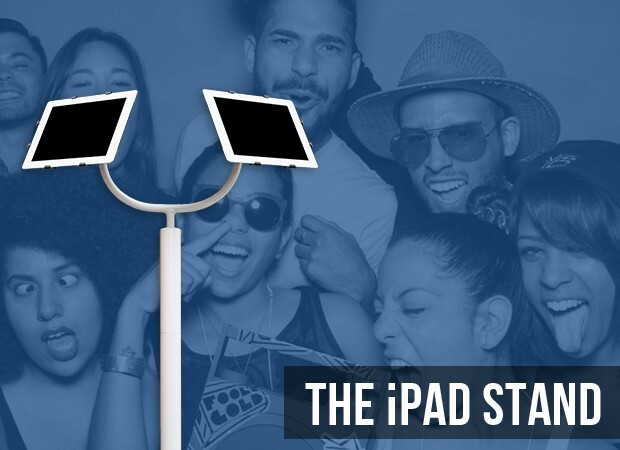 Then they step over to the matching iPad share station to instantly email their branded photos to themselves and to friends, or they can share the branded photos on Facebook, Instagram and Twitter. 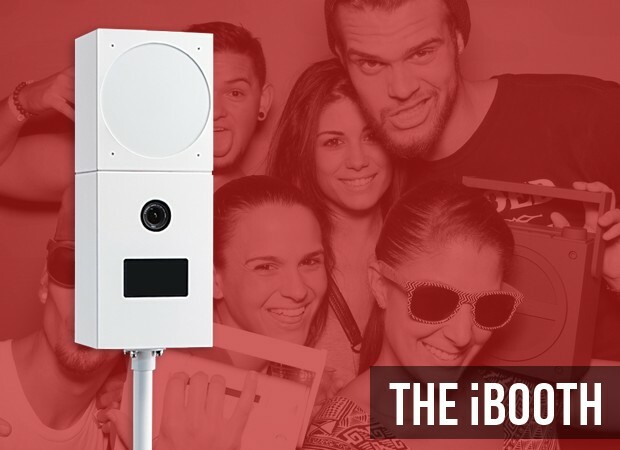 How is the iBooth different from a photo booth? 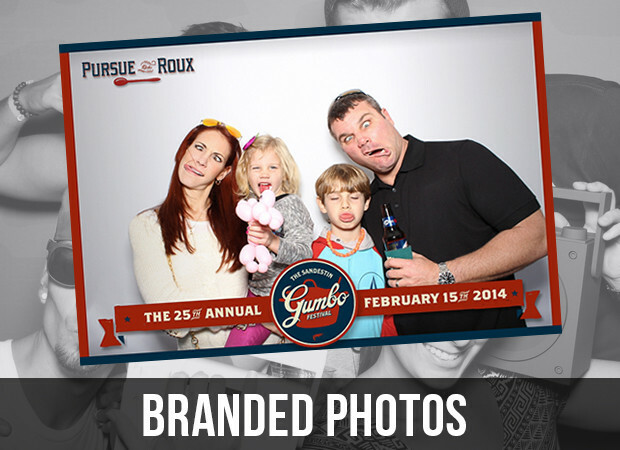 The iBooth's open air layout not only allows more people to fit in photos, but it stops passersby in their tracks. 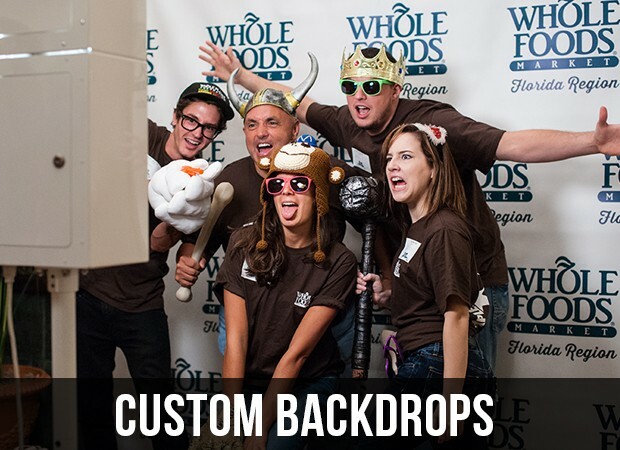 Unlike a traditional photo booth - where privacy curtains hide the users - all of the action is visible from across the venue. 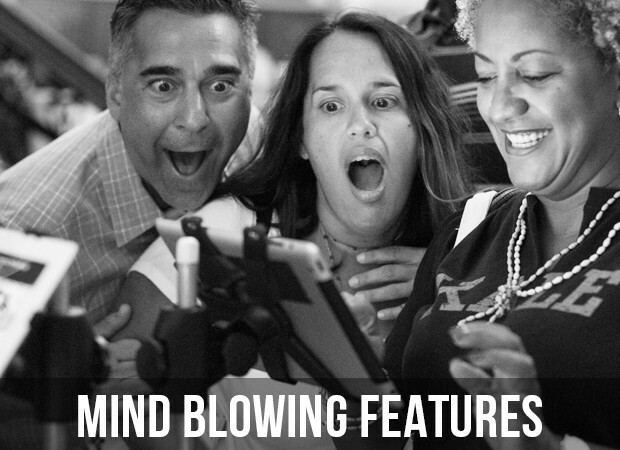 What are some of the iBooth's features? Does the iBooth print the photos? Not at this time. The objective of the iBooth is to get 100% of users sharing their branded photos online, thereby maximizing your event’s online exposure. Where is the iBooth available? Our standard pricing includes service throughout the FL Panhandle and along the Gulf Coast of AL, MS & LA. But the iBooth and the iPad stand both fit into one travel case, so really we can bring it anywhere. Seriously. Try us. For which types of events is the iBooth recommended? Although it can be used at just about any type of event - including weddings and private parties - it’s ideally suited for events where social media exposure is an important component of the client’s overall objectives. Corporate parties, sponsored events, grand openings, sporting events, large festivals, promotional events, etc. How do I find out rates or reserve the iBooth for my event? Complete our Contact Form and we’ll respond with our availability and pricing.